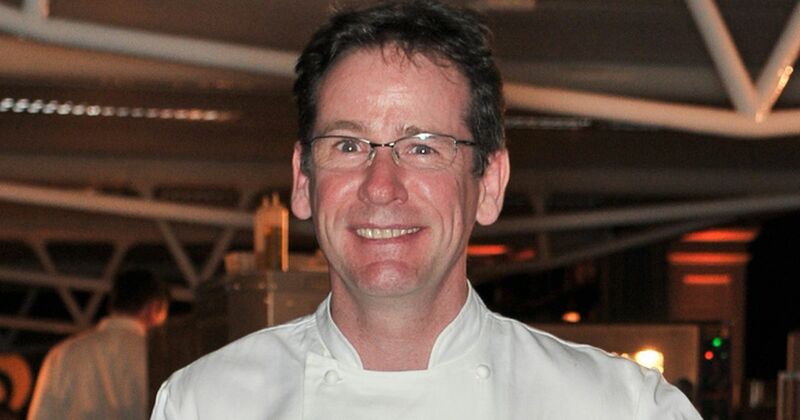 MasterChef: The Professionals star Andrew Fairlie has died from cancer. The famed chef was first diagnosed with a brain tumour in 2005, and died on Tuesday after years of chemotherapy, radiotherapy and surgery. He was forced to retire last year after his treatment options ran out, and his father Jim Fairlie said Andrew, 54, was surrounded by loved ones – including wife Kate – when he died. "It is with enormous sadness and grief that Kay and I announce the death of our beloved son Andrew," he tweeted. "His wife Kate and his family have kept vigil with him for some weeks. He slipped away quietly this morning but his many achievements & memory will live on." First Minister Nicola Sturgeon paid tribute to the Scottish chef, tweeting, "I’m so sorry to hear that Andrew Fairlie has died. "My deepest condolences to his family. Andrew is gone far too soon, but his achievements will always be remembered and his legacy will inspire the next generation of world class chefs. It was a privilege to know him." Andrew received devastating news in June 2018 that treatment was no longer possible because of swelling around the tumour which was affecting his mobility. “It had got to the point that I would have to go public as my left arm is now useless and my left leg has become increasingly difficult to move. It was clear that it was no longer safe for me to be in the kitchen," he told The Caterer. Before stepping down as founder and chef from Gleneagles – the only two Michelin-starred restaurant in Scotland – he gave an emotional interview in which he admitted the toughest part of his nightmare was having to walk away from his job. "Giving up my restaurant kitchen was the hardest part," he told The Times. "The fact that I’ll never be back, never have that buzz and atmosphere of the kitchen again, was very emotional." He rose to fame aged 20 when he won the Roux Scholarship in 1984 and worked under three-Michelin-starred chef Michel Guérard at Les Prés d’Eugénie in Gascony, France. MKR or MasterChef: Which has the better track record for past winners? Will Ant McPartlin be back on I'm A Celeb 2019?